Lucille Mae Colston, 92, passed away Sunday, February 11, 2018. She was born June 4th, 1925 in Self, Arkansas to Jim Foresee and Reba (Ramsey) Foresee. She was a member of the Harrison Street Church of Christ. She was retired from Levi Strauss in Harrison, Arkansas. She was preceded in death by her father, Jim Foresee; her mother, Reba (Ramsey) Foresee, her husband, Hugh Colston; one brother, Doy Foresee, and two sisters, Oleta Clover and Lillian Burgess. 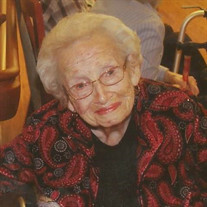 She is survived by her daughter, Sandy Coggins, and her husband, Jack, two brothers, Jim Foresee, and his wife, Auroa, and Raymond Foresee, and his wife, Berta, one sister, Barbara Hudson, and her husband, Jack, two grandchildren, Jason Coggins and Jeff Coggins and his wife Courtney, three great-grandchildren, Parker Coggins, Jayden Coggins, and Alexandra Coggins; and a host of extended relatives, church family, and friends. Funeral Service will be Tuesday, February 13th at 10:00 AM at the Willis Funeral Service Chapel with Bro. Steve Smith and Bro. Tom German officiating. Burial will follow at the Oaklawn Cemetery. Pallbearers include, Jason Coggins, Jeff Coggins, Weston Dean, Benson Hardaway, Phillip Lloyd, and Laddy Barber. In lieu of flowers donations may be made in memory of Mrs. Lucille to the Paragould Children's Home or the Independence County Library.